High tea in Wellington has been a bit of a phenomenon in recent years. Women love the cosy pots of tea, savouries, sandwiches, scones and sweets. Don’t worry though, its not just for women. Afternoon teas in Wellington have been the thing to do when you want to celebrate a birthday, engagement, or just a fun afternoon catching up with the girls. They are also a great way to break up a long day and a great excuse to relax and enjoy yourself. It’s a special thing as high tea is traditionally displayed on a 3-tiered platter with cakes and treat. There is nothing better than spending a bit of time on a Saturday afternoon catching up and trying delicious treats. And the Wellington market has responded by opening several afternoon tea places including several major hotels. High tea is the answer to your 3pm hangry time. High tea fills the gap between lunch and your evening meal. It is usually served between 1-4pm and the perfect thing to tide you over until your dinner reservation. So where are the best high tea places in Wellington? You can check out my favourites below. Traditionally, High tea is not a fancy tea at all rather a more substantial meal with meat and other foods. High tea was served at a high table, hence the name, such as a dining table. You can think of a high tea as a light supper. An afternoon tea is served mid-afternoon with tea, scones, finger sandwiches and cakes. Afternoon tea is also known as low tea as it was served at a low table such as a coffee table and then a tiered tray would contain all of the goodies. Don’t worry, no one is going to quiz you on the difference and in Wellington the terms are used interchangeably. So no need to choose high tea vs afternoon tea. 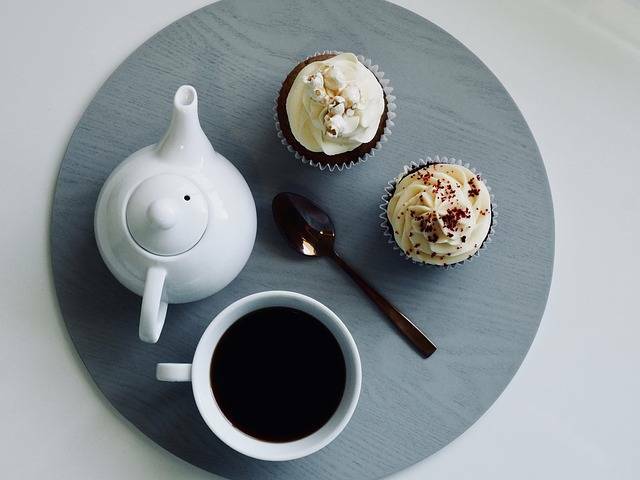 All of the high teas listed below are served mid-afternoon at Wellington high tea venues for an afternoon tea experience with tea, cakes, and scones. One of my favorite places to go for high tea in Wellington. This is a ladies who lunch kind of place. Using proper china tea pots and tea cups and saucers, I really like going to Martha’s Pantry for high tea. You need to book ahead of time and the high tea is $30 per person. There are fun hats there that you can wear while having your high tea. They also put adorable crocheted tea cosies over the tea pots too. This place is just fun to gather a couple of friends and go relax and chat while having delicious scones and cream and jam. I also think that Martha’s Pantry has the best tea range with Harney and Sons. 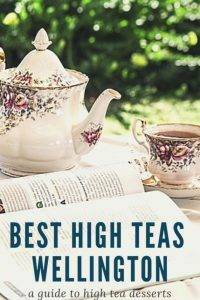 I love their Hot Cinnamon Spice and Paris tea so much that I actually buy it by the bag online and brew a pot on the weekend when I’m not heading out to an afternoon tea. Located at the end of Cuba Street and has parking as well. I like to go to Louis Sergeant Wellington when I want a fancy high tea. Just look at this selection of desserts they serve there. I took my mom here when she visited me in Wellington and we had a great time. I loved how different their three tiered platter looked and tasted but where they really shine is their desserts. They even do a miniature version of some of their regular desserts in the high tea. I definitely recommend this place. Available Wednesday through Sunday, cost is $40 and you must book ahead. Located in the heart of the Wellington CBD, Intercontinental is the place many Wellingtonians go for a special cuppa. The Intercontinental Afternoon Tea is also something special. Located on the ground floor lobby of the hotel and a definite treat. The pastry chef, Marie Curry, does up delectable treats such as lemon meringue pie, chocolate mousse, mini strawberry custards, and red velvet cakes. And that’s just the sweets! There is also one tier of the platter dedicated to savouries such as a bacon avocado sammie (sandwich) and smoked salmon cream cheese bagels. 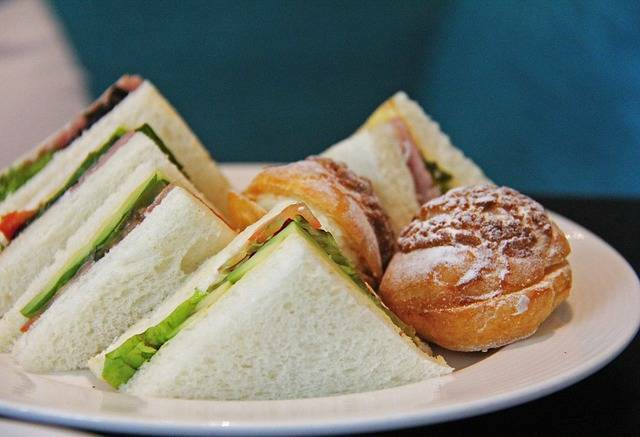 The Intercontinental High Tea is daily at the Lounge Bar and costs $39 per person. You can also have high tea with bubbles for $45 per person. With views to dine for this place is great on a sunny day when you want to take a break along Oriental Bay. Their tea menu is simple, but their food is delectable. Pastrami on rye, smoked salmon, macarons, and scones and jam what more could you ask for in an afternoon tea. The cost for afternoon tea is $70 for two people and again you must book ahead. In 2015, Hippopotamus Afternoon Tea was named the world champion of high tea overcoming 20 other teams. If that’s not a reason to check out their high tea I’m not sure what is a better reason. I first went here for a friends birthday. It was one of my first times going to a high tea. When they brought out the three tiered platter my eyes lit up. Oh my goodness was I in for a treat. It is customary to start with the bottom tier which is the savouries such as finger sandwiches, quiches, salmon mousse on a bread crostini but my favorites are always the mini desserts. I like to start with a mini lemon meringue pie and move into the other desserts with a pastry crust before finishing with the light, sweet macaroons the best high tea desserts. Served with dilmah teas this is one of my favorite afternoon teas. High Tea at Hippopotamus is available Wednesday to Sunday from 2.00pm – 4.30pm. The Artisan Restaurant and Bar in the Bolton Hotel hosts high tea for $90 for two people and is only available on the weekends. Artisan Dining House offers a range of High Tea options, elegantly pairing delicate sweets and savouries. Served Friday to Sunday, the menu includes a selection of tasty treats served on a three tiered platter in a beautiful setting. 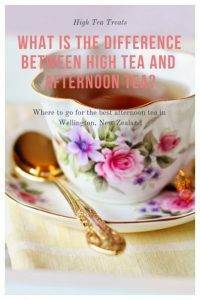 There are several high tea places in Wellington ranging from $25 to $50+. The main thing to know is that most of these places need to be called ahead of time to make a reservation both because they fill up quickly and they also need to prepare the food ahead of time. I love Martha’s Pantry High tea as a fun, girly afternoon break from shopping. Its just too cute. I love Louis Sergeant for a fancier high tea. I could stare at the cakes they make all day. So pretty. Intercontinental high Tea is pricier but you get what you pay for especially when all of your treats are made by a pastry chef. One80 High Tea is dining with a view. If you are in Oriental Bay and want to take a break this is the place for you. Hippopotamus High Tea is a special occasion afternoon tea. Bolton Hotel High Tea is a nice treat. If you are coming to Wellington for the weekend for a show and staying at the hotel this is the perfect place to indulge. Over to you! Have you been to a high tea before? If not, what do you think would be your favorite element – the tea, the savouries or the sweets? I’m all for the lemon meringue pies and the macarons – my favorite high tea desserts. Sharing is Caring. You can pin this post to save it for later! I had a wonderful time and experience with high tea at Louis Sargeant! Everything was beautiful and delicious! And the teas were marvelous! Nicole, Have you gone to Martha’s since the change in ownership (within the last year)? I hope it is still as good as it was under the sister team that had the cafe. Must make the trip up Cuba Street and try it again myself. Lovely article – I didn’t know about the Bolton Hotel tea – looks fab. What a fun way to spend an afternoon! I should look around and see if I can find any teas I can go to on our trip to UK this summer. The deserts look incredible — I don’t even drink tea, but it seems everything else would make up for that. We did the best High Tea in London at Ritz Carlton. I bet these teas in New Zealand are superb, too, continuing a fine English tradition. I have not had a High tea, but afternoon tea is one of my favorite things. All of these look so good, I bet doing the research for this was a treat! 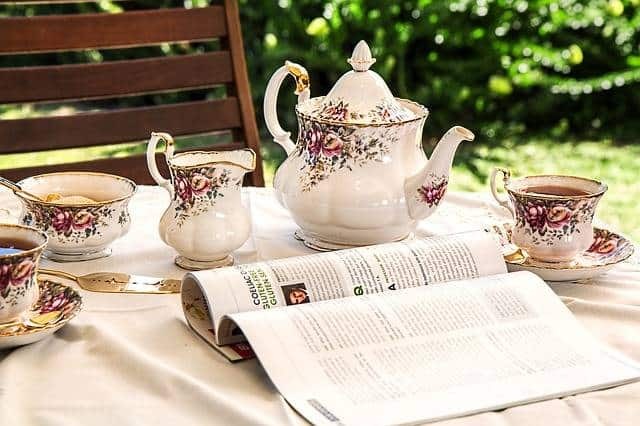 If served properly and in a nice environment, High Tea may be a very rewarding experience. I tried it myself a few times, but never in New Zealand. All these treats look so delicious! Wow, all of these high tea places in Wellington look amazing. I chuckled a little about wearing hats and the adorable crocheted tea cosies over the tea pots at Martha’s Pantry. Hippopotamus Afternoon Tea looks divine. My eyes would lit up too at the sight of the three tiered platter. I’ve done several high teas in Sydney and Melbourne, but it looks like Wellington is the place to be for high tea. Can’t wait to get my hands on those macarons. We just love to have High Tea when we travel. Thanks for the suggestions when we make it to New Zealand. I do love the pretty tea pot and cups from Martha’s Pantry. And that there are hats available if you want to dress up your game. The desserts at Louis Sergeant certainly do look quite decadent. The Intercontinental looks like a great choice for us. Thanks for this list. I will be keeping it. Oooh, this is such a delicious roundup of places to enjoy afternoon tea in Wellington. The cupcakes at Martha’s Pantry look yummy, as does the Hippopotamus High Tea (I love the name!). Perhaps you’ll get as large as a hippo if you eat those too often! I never really understood high tea before!! But yea looks like a fun afternoon just chillin with friends! This is such a fabulous spread for high tea. Love the pretty tea pot and cups from Martha’s Pantry. The largest high tea I ever had, had 32 types of deserts.! But thanks for the suggestions when we visit New Zealand next. 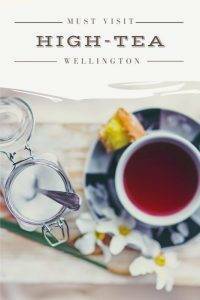 As a lover of high tea, this is news and information I can use when I visit Wellington. I just enjoyed a high tea in British Columbia a few days ago, and it’s such a lovely experience all around. The desserts at the Louis Sergeant High Tea look particularly to-die-for delicious. On my list!